I have been reviewing Saucony Hurricane since version 9. But Hurricane 12 was my least favorite version, which is why I never reviewed or recommended it. Hurricane 13, however, has restored my faith in this model and surpasses all prior versions with respect to fit, stability and comfort. Structured yet lightweight, Hurricane 13 has a thick, cushioned forefoot and firm EVA medial midsole providing support for even the most excessive pronators. If you haven’t tried Saucony ProGrid Hurricane 13 yet, you may be missing out on one of this season’s best running shoes. Here’s my video review. My previous Hurricane posts follow the video. 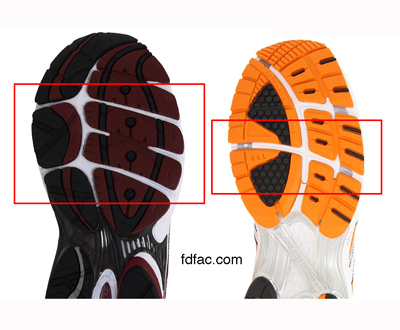 Horizontal grooves in the forefoot of running shoe outsoles are called flex grooves. As the name implies, flex grooves are designed to promote forefoot flexion across the ball of the foot. In many cases of forefoot pain, however, this is exactly where you don’t want the shoe to bend. You actually want the shoe to be as inflexible as possible in this area if you have the following forefoot conditions: hallux limitus, sesamoiditis and metatarsalgia. If you have forefoot pain, deep flex grooves located directly beneath the affected joint will cause an increase in forefoot flexion as well as reduced shock absorption due to a lack of an overlying outsole in the area of a groove. The shoe on the left side of the image has flex grooves adjacent to where the forefoot bends, which can alleviate forefoot pain. 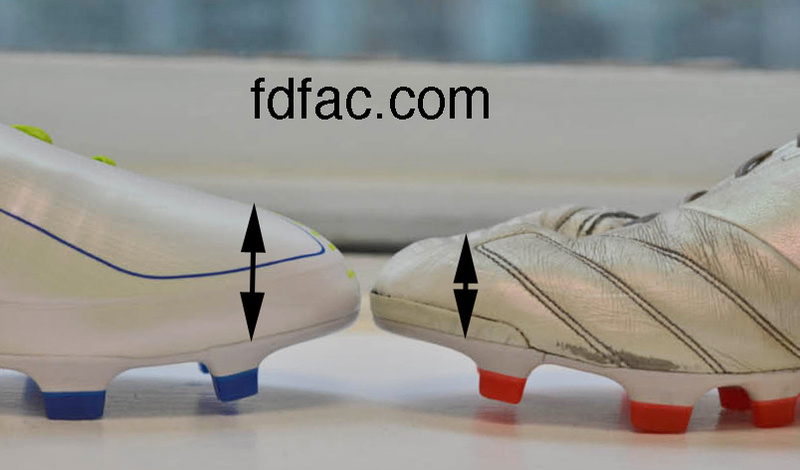 The shoe on the right side of the image has a flex groove where the forefoot bends, leading to more pressure in this area. If you experience pain in the forefoot, check the flex groove placement in your shoes. Flex grooves in the wrong place can contribute to forefoot pain. January Poll – How Do You Choose An Athletic Shoe?